After the computer receives IP address it starts to communicate with other devices within the network. To send information to Ethernet medium each ip packet is encapsulated with Ethernet frame as we now already from bits, frames and pacjet and communication model courses. Thus When sending packet with destination IP of particular receiver computer needs to know first where to send the frame so destination MAC address is needed. computer needs some kind of translation between particular IP and its MAC. 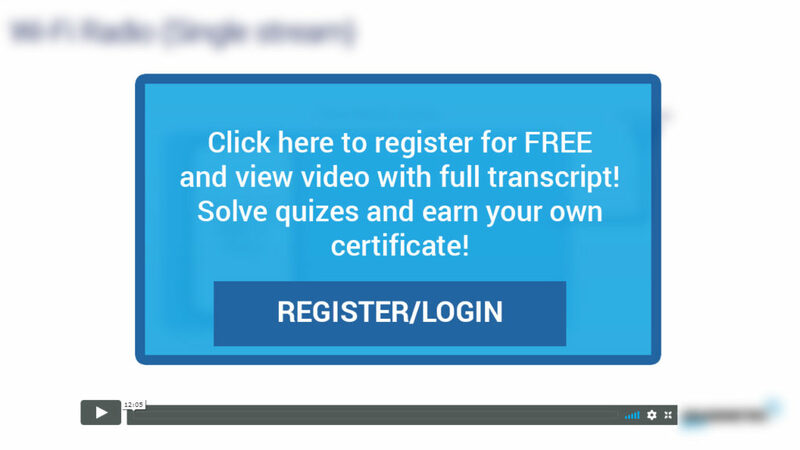 The protocol that is intended for such translations is called ARP Address Resoultion Protocol. Look now at the scheme: The way ARP work is as follows: first device A requests for the translation asking who has IP of 10.1.1.100. This is broadcast message with de 12Fs in frame destination. The request comes to device D and device D recognize that the request is intedned for its IP. So sends back ARP reply saying I have the IP at my MAC address of mac address which is 12Ds. 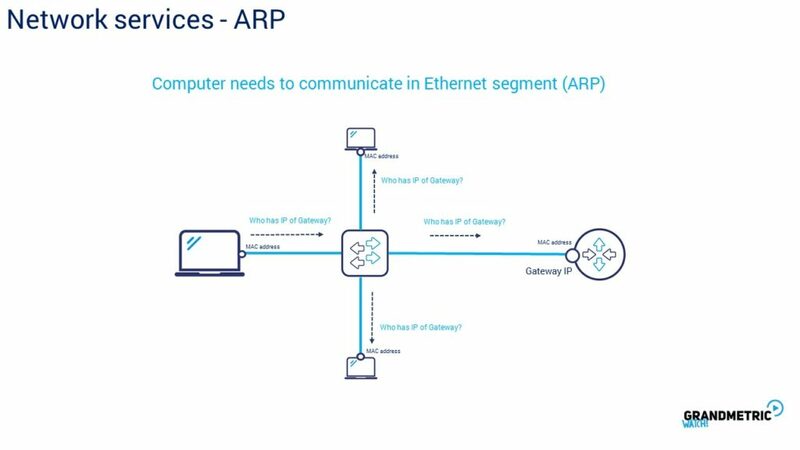 This time the arp reply is unicast directed straigth to computer A. After receiving the reply device A updates its Arp table and is ready to send the traffic to 10.1.1.100 always with destination mac of 12 ds. The same proces happens when A wants to talk with B and C.
The second option in Ethernet comes with sending traffic outside the IP subnet. In such case devices always use default Gateway.But of course sender needs to know the MAC address of gatway. IP is known from the DHCP lease as you remember but MAC is not know so far. Just before sending ARP request for DG is performer resulting in arp reply from defualt gatway. Since now the traffic in this Ethernet segment will go encapsulated with destination mac of default gatway. This is the whole magic of Ethernet. 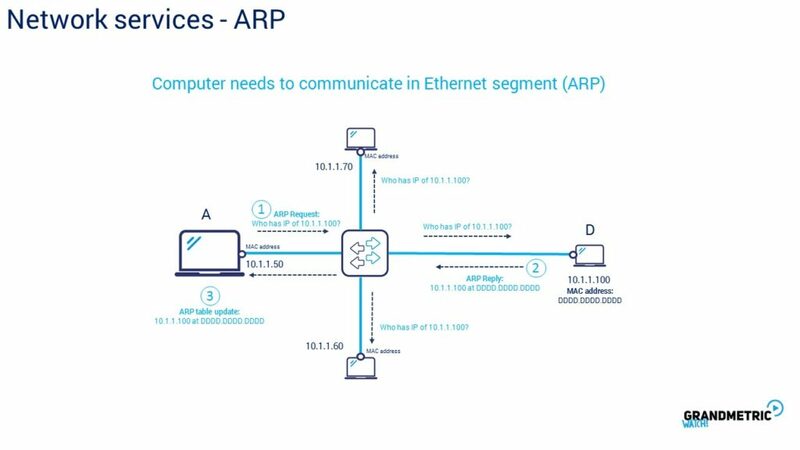 Is worth to mention here that because of the bcast nature of Ethernet this ARP could lead to saome vulnerabilities in networks. But this topic will be covered in detail in „network perimeter security” course. 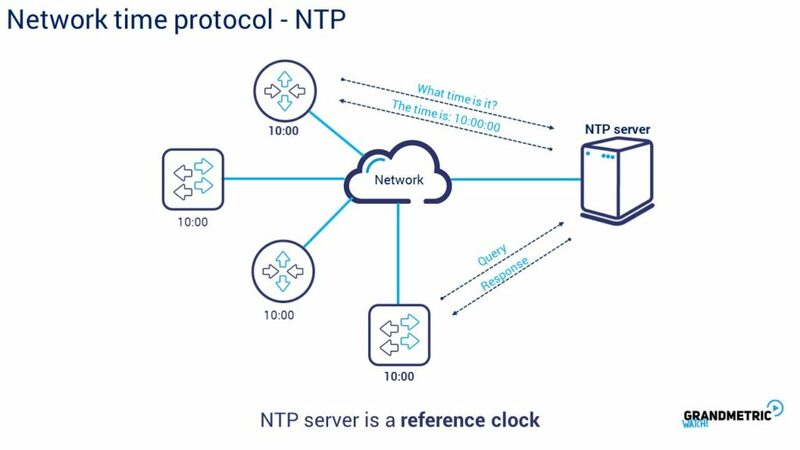 -The next protocol we need to mention is the NTP – network time protocol, the rules of ntp operations are rather simple and are based on time synchronization between reference clock and devices. Devices updates periodically their system clock based on NTP server response. Why we might need something like ntp in our network.